Poznań is a historical region where the Polish state was created more than thousand years ago. Now Poznań is one of the most important industrial, commercial, cultural, scientific and touristic centers. The Old Market - Poznan's ancient center has a surface of two hectares. The former Jesuit church, located not far from the Market, is considered one of most beautiful baroque buildings in Poland. Another famous place is Collegium, which was visited by famous people like Napoleon and Frideric Chopin. Raczynski palace is an oldest public library and the collections of Kurnitsa library there is the invaluable work of Copernicus "De revolutionibus orbium celestium". Poznan holds water sports center - "Malta" park and sports and recreation center "Malta-ski". Sailing boats & yachts participate in the local regatta competition. When visiting the city worldwide music lovers like to attend Poznan Henryk Wieniawski violin competition and listen to the chamber choir "Poznan Nightingales". 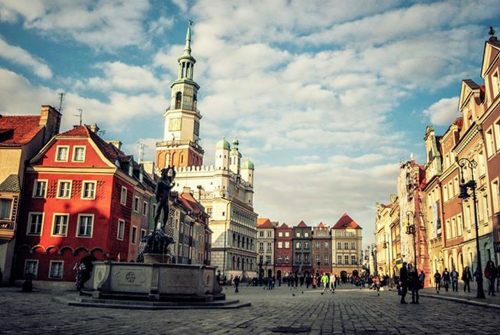 Poznan is a lovely place, where kind people, beautiful shops & ancient sights are located. All-included price offer for fuel/petrol, toll roads & highways, taxation. Excellent customer service creates loyal customers for life! This is the creed our company follows for years. We believe that customers who are willing to refer your business to friends, family, and colleagues are the ones who feel as a part of us. Providing excellent customer service starts with a genuine desire to delight our customers and this means to think beyond just selling our products or services. We need to consider the cumulative experience our customers have when they visit our website, what they think and feel, and what we can do to make it better. That is why we take time to regularly review feedback, identify areas for improvement, and make specific changes in our business. Each year Poznan hosts dozens of tourists & for this purpose standard bus with a driver is hired. Intelligent & professional chauffeur will meet tourists at Railway Station or Airport. 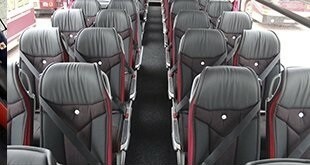 The bus is equipped with amenities, which will provide comfort to every passenger. Drivers will deliver passengers in the chosen direction in no time. Every year huge enterprises organize trips for workers in different countries. Our drivers always follow the plan, which was made up during the registration process. Hire a business chauffeured bus & make sure all coworkers feel luxury comfort during the trip! We check that all chauffeurs & drivers have a valid driver license & documents. Workers must pass verification process from document checking till health verification. 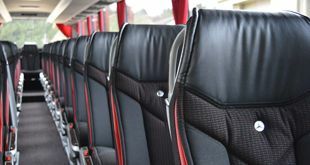 Hire a chauffeured driven bus from 8Rental’s chauffeurs & staff and be sure your ride is safe!